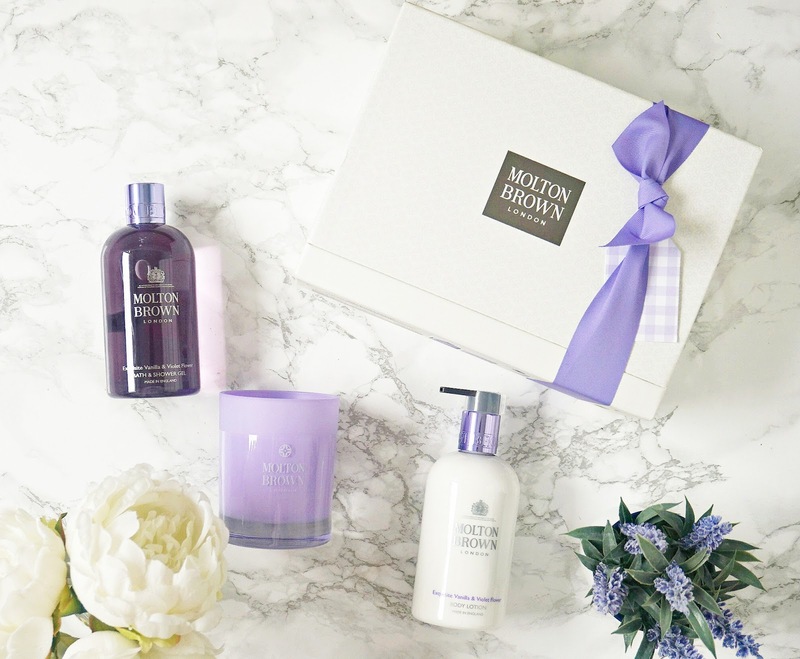 This gift set contains a 300ml bath and shower gel, a 300ml body lotion and a single wick candle, all in the Exquisite Vanilla and Violet Flower scent, which you can smell as soon as the box is opened. The scent is a combination of vanilla, freesia, iris and violet - think parma violet sweets but with the warmth of vanilla and a hint of muskiness, so it isn't sickly sweet. I actually find it to be a very relaxing scent and I have been enjoying my baths with the candle lit and plenty of bubbles from the bath and shower gel, which leaves my skin feeling very clean but not at all stripped. The scent of the candle fills the room and the one next to it and lingers even when extinguished. To ensure that the scent stays on my skin for even longer, I follow up with the body lotion, which is light in texture yet deeply moisturising. It absorbs instantly and doesn't require a workout to rub it in so you can dress immediately after application without worrying about it sticking to your clothes. Overall, this set has really impressed me and has definitely tempted me to try more so I will be keeping my eyes peeled in Duty Free for some treats. If this scent combination doesn't sound exactly to your taste, Molton Brown have a variety of scent combinations so there is something to suit all tastes. Have you used any Molton Brown products? Do you like to treat yourself in Duty Free? All products are bought by me, unless otherwise stated. This Gift Set was kindly sent to me. Opinion is always my own.